Presented by the MGH Institute Center for Climate Change, Climate Justice, and Health, and in partnership with the IHP School of Nursing Upsilon Lambda Chapter, The Honor Society of Nursing, Sigma Theta Tau International, this symposium will provide health care professionals with an opportunity to engage in robust discussion about ideas for corrective action to improve the lives of people in the face of climate change. Climate change is a growing health concern, with implications for safety and well-being; nutrition and food security; food-, water-, and vector-borne diseases; and mental health. Climate change and the social determinants of health are closely aligned, contributing to disparate environmental exposures and health inequalities, as a disproportionate number of low-income individuals, some communities of color, and those with higher vulnerability to disease and chronic health conditions are at risk. Health professionals play a critical role in climate change prevention and preparedness. Join national experts and faculty from the MGH IHP School of Nursing Center for Climate Change, Climate Justice and Health to address ways to identify the risks of health climate change, advocate for climate/environmental justice and mitigate the impact of climate change on health and well-being. Discuss the role of health professionals to advocate for climate/environmental justice for all populations. Identify health risks of climate change. Apply health care models as a framework to understand the implications of climate change and implement action plans. Explore strategies to integrate health issues of climate change into health professions curricula. All health care professionals, providers, and educators who recognize the impact that climate change has on health and want to join the health professional community to identify and reduce the risks and consequences of climate change. Gina McCarthy is Professor of the Practice of Public Health in the Department of Environmental Health at Harvard T.H. Chan School of Public Health and the Director of the Center for Climate, Health, and the Global Environment. In this capacity, she leads the development of the School’s strategy in climate science, health, and sustainability; strengthens the climate science and health curriculum; and liaises with climate science leaders across the University. McCarthy has been a leading advocate for common sense strategies to protect public health and the environment for more than 30 years. She served under President Barack Obama as the 13th Administrator of the EPA from 2013–2017. Her tenure as EPA Administrator heralded a paradigm shift in national environmental policy, expressly linking it with global public health. 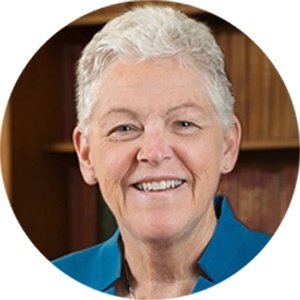 She led EPA initiatives that cut air pollution, protected water resources, reduced greenhouse gases, and strengthened chemical safety to better protect more Americans, especially the most vulnerable, from negative health impacts. McCarthy signed the Clean Power Plan, which set the first-ever national standards for reducing carbon emissions from existing power plants, underscoring the country’s commitment to domestic climate action and spurring international efforts that helped secure the Paris Climate Agreement. McCarthy worked with the United Nations and the World Health Organization on a variety of efforts and represented the U.S. on global initiatives to reduce high-risk sources of pollution. A longtime public servant, McCarthy was previously Assistant Administrator for the EPA Office of Air and Radiation, Commissioner of the Connecticut Department of Environmental Protection, Deputy Secretary of the Massachusetts Office of Commonwealth Development, and Undersecretary of Policy for the Massachusetts Executive Office of Environmental Affairs. In the EPA Office of Air and Radiation, McCarthy strengthened collaborative efforts with public health agencies and organizations across the U.S. to identify and reduce threats to human health from harmful air pollution, including carbon pollution that fuels climate change, by updating health and technology based emissions standards, establishing greenhouse gas standards for cars and trucks, promoting energy efficiency and alternative fuels, and mitigating harmful exposures to indoor air pollution. In Connecticut, she was instrumental in developing the Regional Greenhouse Gas Initiative, a multistate effort to reduce emissions contributing to global warming, which has spurred economic growth, improved public health, decreased energy demand and helped mitigate electricity price increases across the region. During her career in Massachusetts, McCarthy advised five governors on environmental affairs, worked at the state and local levels on critical environmental issues, and helped coordinate policies on economic growth, energy, transportation, and the environment. After the Obama Administration, McCarthy became a Senior Leadership Fellow at both the Harvard Kennedy School of Government and Harvard T.H. Chan School of Public Health. In addition to her work at Harvard, McCarthy currently acts as an Operating Advisor at Pegasus Capital Advisors, a private equity firm in New York focused on the intersection of global sustainability, health and wellness. She holds a Master of Science in Environmental Health Engineering and Planning and Policy from Tufts University and a Bachelor of Arts in Social Anthropology from University of Massachusetts at Boston. Dr. Nicholas joined the Institute faculty in 1989 after many years of clinical practice at the Massachusetts General Hospital. She is Professor and teaches in the Accelerated Bachelor of Science in Nursing program as well as in the Direct-Entry Master of Science and Doctor of Nursing Practice programs. She is also a member of the steering committee for the Center for Climate Change, Climate Justice and Health at the Institute. Dr. Nicholas is engaged in research on quality of life in chronic illness, particularly HIV/AIDS and international/cross-cultural work. She completed both a postdoctoral fellowship at Harvard School of Public Health in 1999, and a Master of Public Health degree in International Health (HIV/AIDS Focus). Dr. Nicholas was the recipient of a J. William Fulbright Senior Scholar Award for 2003-2004 to study population issues and health status in Germany. She serves on the editorial review panels of several journals including AIDS Care, American Journal of Public Health, Nursing Research, American Journal of Nursing, Nursing and Health Care: Perspectives on Community, and The Journal of Nursing Scholarship. Dr. Nicholas is the recipient of several grants and awards for her research. She is a Visiting Professor at Catholic University in Leuven, Belgium, and St. Luke's Hospital in Tokyo, Japan. Dr. Nicholas was recently awarded a J. William Fulbright Senior Scholar Award in South Africa for 2006-2007 to continue her research and teaching on symptom management and adherence to therapy in HIV disease in Durban, South Africa. In 2010 she received the Association of Nurses in AIDS Care Research Award. She is also the recipient of a Nursing Spectrum Community Service Award and a Boston Business Journal Champion in Health Care Award. 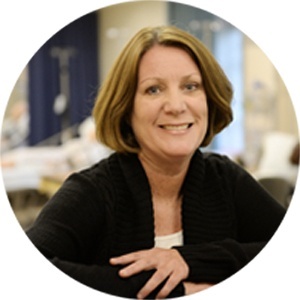 Suellen Breakey, PhD, RN, is Assistant Professor and Program Director of Prelicensure/Generalist programs for the Bachelor of Science in Nursing and the Direct-Entry Master of Science in Nursing (DEN) program in the School of Nursing at MGH Institute of Health Professions. She teaches in the accelerated BSN programs. 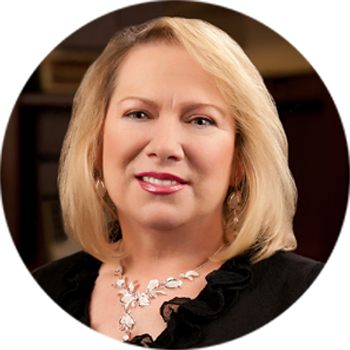 Her clinical background includes cardiac surgery, critical care, hospice care, and global health nursing. Dr. Breakey is a member of the steering committee for the Center for Climate Change, Climate Justice and Health at the Institute. Her global nursing efforts are focused on prevention and treatment of rheumatic heart disease in resource-limited settings. She is a leader with Team Heart, a nonprofit organization that provides RHD screening, cardiac surgical care and follow up, and patient/provider education in Rwanda. Her scholarship interests include bioethics, global health ethics, and the scholarship of teaching and learning. In 2015 Dr. Breakey's book Global Nursing in the 21st Century was published. Enjoy some coffee and network with colleagues. Stretch your legs and visit with poster presenters. As trusted leaders and powerful messengers, physicians, nurses and other health professionals can leverage their influence and expertise to be advocates for climate solutions to protect the health of their patients. Come learn how health care professionals can support the transition to climate-smart healthcare through advocacy, education, research and clinical practice, and take part in national initiatives like Health Care Without Harm’s Physician Network, the Health Care Climate Challenge and the Nurses Climate Challenge. Enjoy a snack and network with colleagues. Share your thoughts about the symposium. The faculty and planners of this activity have no conflicts of interest or relevant financial relationships to disclose. Food & beverages will be sponsored by the Upsilon Lambda Chapter of The Honor Society of Nursing Sigma Theta Tau International. This continuing nursing education activity was approved for 6.25 contact hours by American Nurses Association Massachusetts, an accredited approver by the American Nurses Credentialing Center's Commission on Accreditation. For more information regarding contact hours, please call Ginny Do at 617-724-6674. Join our mailing list to get periodic email updates about Climate Change and Health 2020!